It's no secret that Blake loves In the night garden. 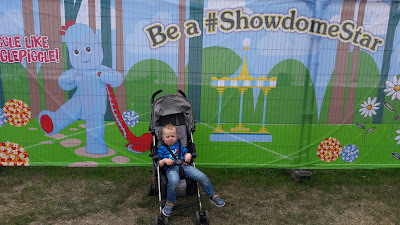 He loved going to In the night garden live last year so we knew we had to go again this year. This year we chose to head to the show in Richmond, London at Old Deer Park rather than travel all the way up to Manchester. In the night garden live is a must see for little In the night garden fans and is also fun for grown ups too. Like last year there are a choice of two shows; the Ninky Nonk show where Iggle Piggle loses his blanket and the the Pinky Ponk Show where Makka Pakka washes faces. This year we chose to see the Pinky Ponk show. We ended up arriving in Richmond 2 hours before the show was due to start. We passed a bit of the time enjoying sitting in the park. 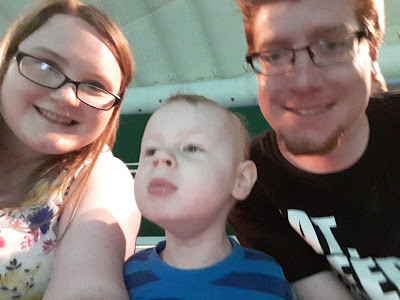 We then headed into the showdome approx 45 minutes prior to show starting which was easy to find, so we could use the changing facilities and to also use the microwave to heat up some milk for Blake before the show. The show brings the dome to life with magical music, puppets, actors and full sized versions of Iggle Piggle, Uspy Daisy and Makka Pakka. Blake was in his element watching the show and was so excited and clapping whenever a new charterer came on stage. Just like last year Blake was transfixed with the show from the minute it started to the very end. 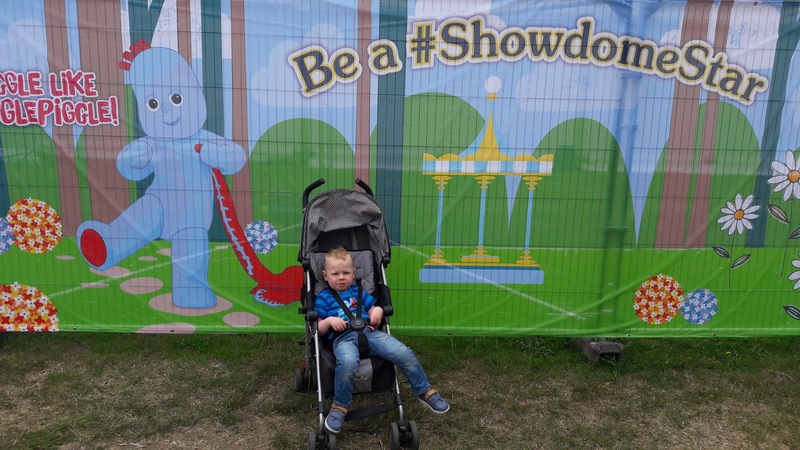 Like last year there is the opportunity to meet either Iggle Piggle or Upsy Daisy for £15 per character which we chose not to do this year due to timing and needing to get home. In the foyer there are plenty of souvenirs starting at as little as £5 so there is bound to be something you can find for your little In the night garden fan. There is also a goody bag that you can had purchase in advance for £29 which on the day cost £39 with goodies worth over £60. We chose not to do that this year as this time round the goody bag contained items Blake already has. We did however purchase an activity book for him and a pack of stickers. 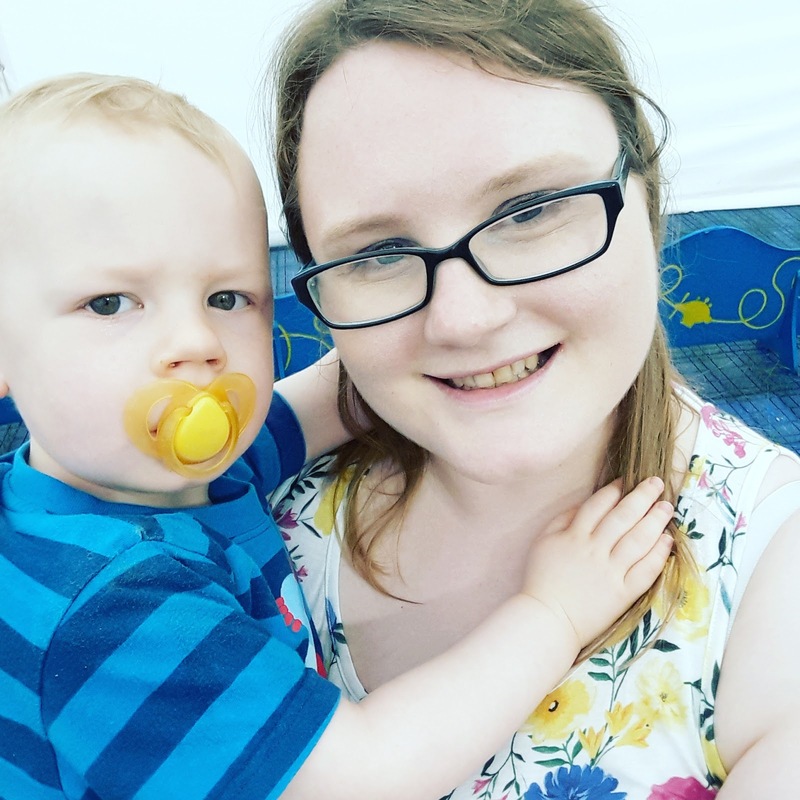 Overall it was such a fantastic family day out which we fully recommend. Will we be attending next year? If Blake is still into the show definitely. Oh it sounds like so much fun! My daughter loves In The Night Garden, I can't wait until she is old enough to enjoy this show. Aww what a lovely show this sounds like, it looks like they really planned everything out well with little extras such as meeting the characters as well. This is such a magical production which we had been to see a couple of times when my daughter was younger - such a lovely thing to do see as a family! This looks like something fun and a bit different to do! It looks a fab show for in the night garden fans! Love that you could heat up milk etc, so handy for parents! That's great that you do get the opportunity to meet the characters. I hope Blake enjoys the activity book and stickers. Aww this sounds so lovely. Glad you enjoyed it. Personally though I'd say the extra £15 per character is a bit cheeky! I'm in New York City, but this looks like a great show. My kiddos would really enjoy this... what a shame I'm not closer to London! aww for my guy it's paw patrol but for night garden fans this looks like the dream! 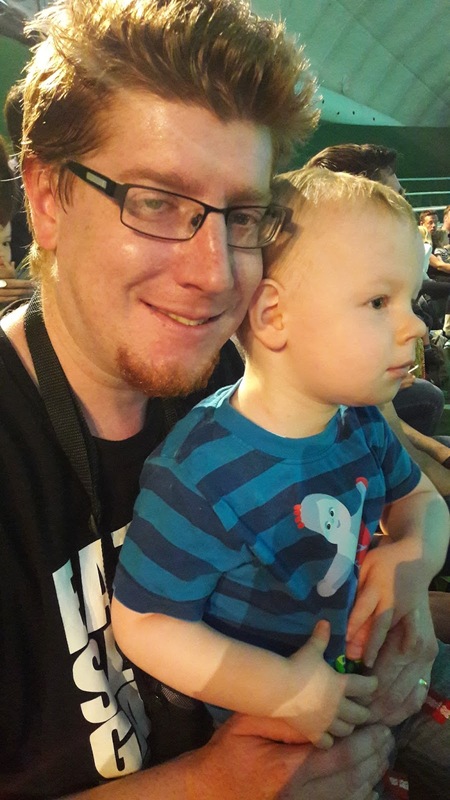 Glad your little guy enjoyed it! oh that sounds like such fun! I bet my little one would love this too - will have to see if its on near us! I went to this last year. Unfortunately Lily cried the entire time. Not sure what it was she didn't like but the only part she enjoyed was the upsey daisy part. I enjoyed it though! Great show! My daughter would love this show! We also like Richmond Park. I keep looking at taking Oscar to this! He loves In the Night Garden. I can't stand it though, LOL. Ooh, decisions, decisions! I love all the songs from In the Night Garden but Zach has never got to see it because the older 2 are always watching something else! My daughter is mad about in the night garden and I have been planning on taking her, but after reading your delightful review, think I will go ahead and book. It sounds you had such a great time! I'm a huge fan of theatre and thinks it's so rear introducing it to children early on. We would love to see the show.